Drink wine and watch colorful birds, what can be more relaxing? 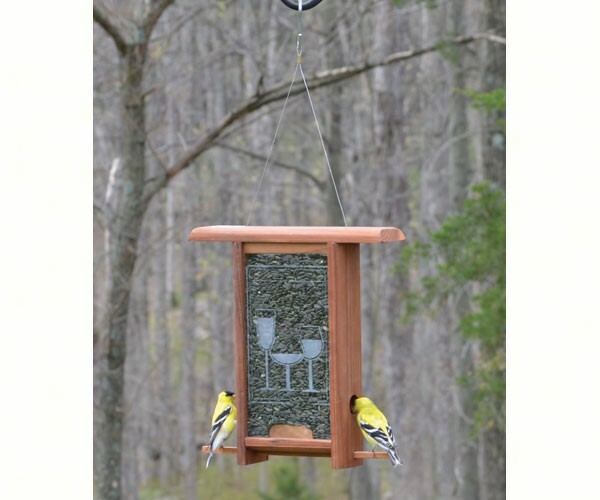 A graceful redwood feeder with beautiful wine enthusiast inspired etched glass panels. Glass panels keep seed safe from the elements. Top slides up for easy filling. Removable perch for easy cleaning.